The Rohingya people have been desperately escaping Myanmar, the country where they have faced persecution for generations. 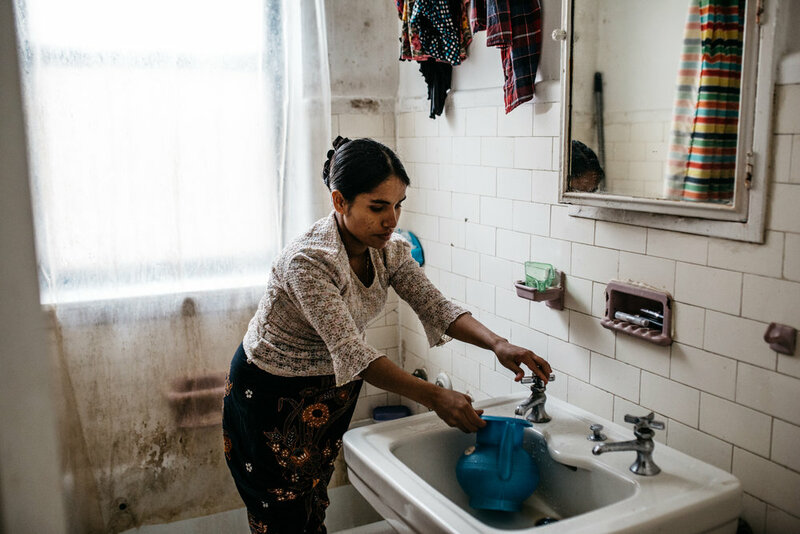 The situation now borders on genocide and more than 700,000 have fled just in the past few months to find safety in the neighboring Bangladesh. Though the refugees are mostly in camps in Cox Bazar, Bangladesh, Rohingyas also been trickling into the United States in recent years. 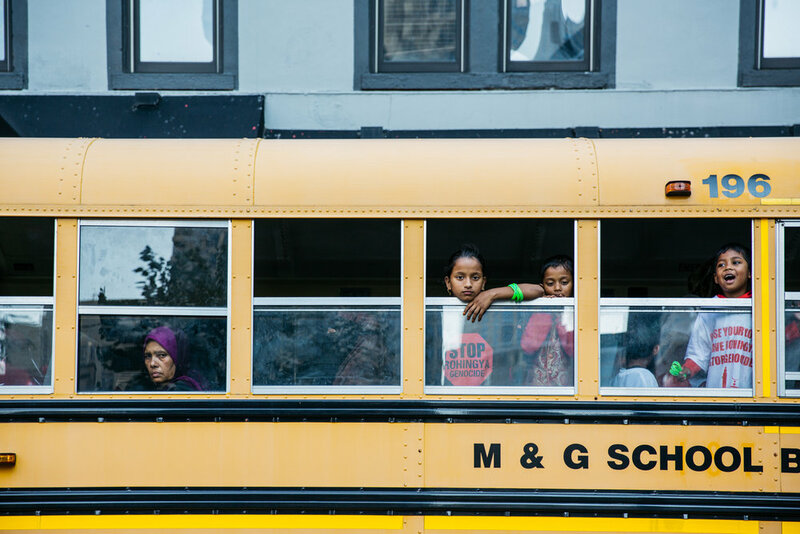 Over 400 families have settled in Rogers Park on Chicago’s North Side, one of the country’s largest concentrations of Rohingya. 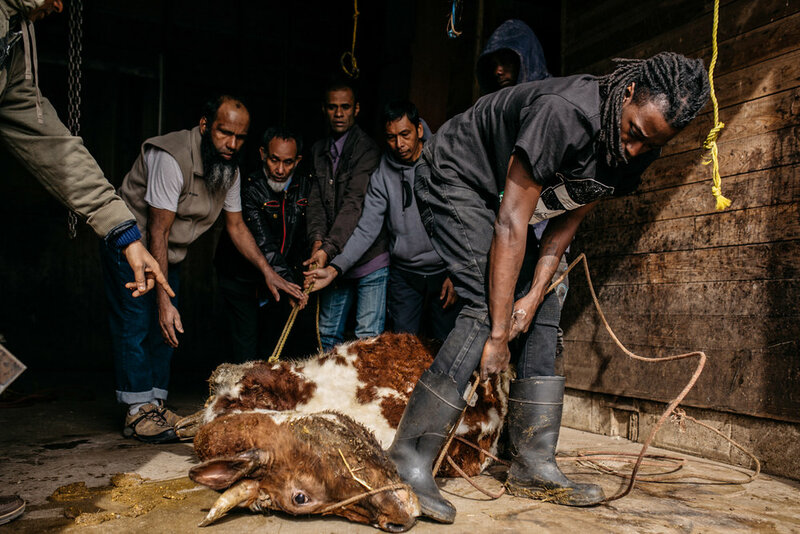 The body of work explores their journey to assimilate into American life while staying true to the traditions of their home country and Islam. The story was originally published in The New York Times, October of 2017. 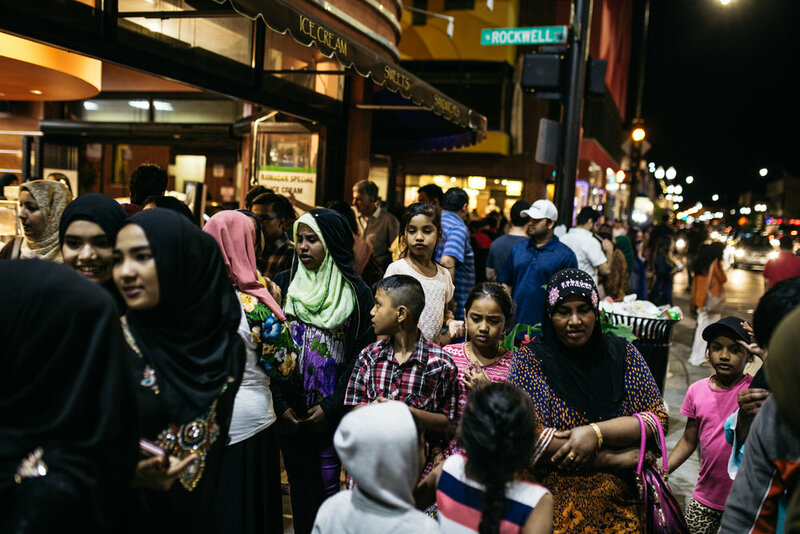 Rohingya women and children join other muslim neighbors to fill Devon Avenue in celebration of Ramadan. 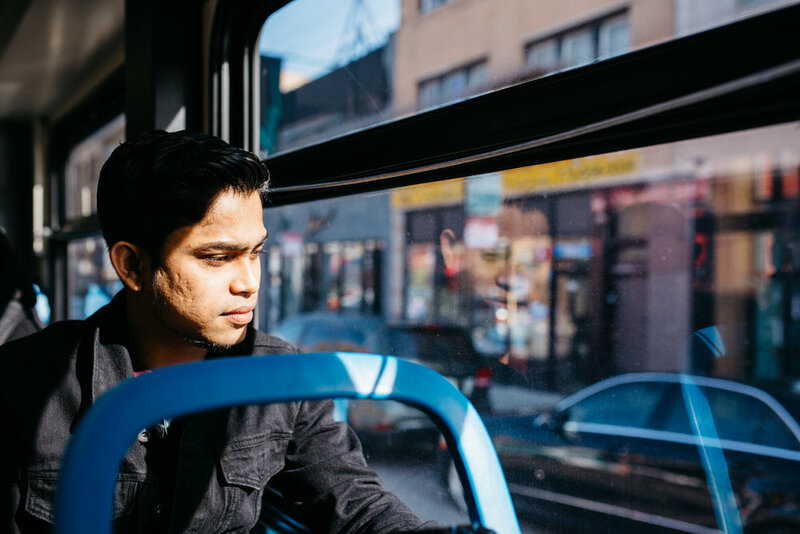 Abdul Samad was resettled in the United States two years ago with his father after escaping to Malaysia from Myanmar. He had to leave behind his mother and siblings. “I went through many mountains and forests and we took a boat for almost one month. From Burma to Malaysia. I was in Thailand for a week. I saw people die on the boat. I went without eating for one week,” he says. 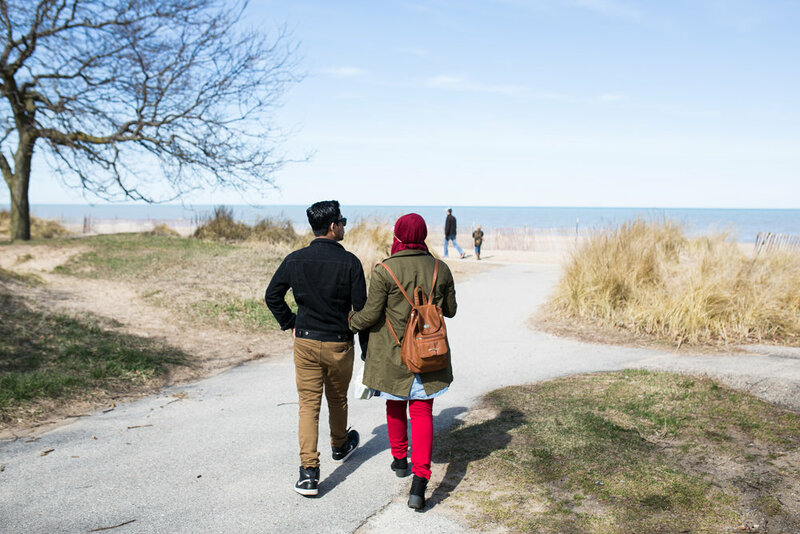 Abdul Samad with his wife, Bibi, 18, on Lake Michigan. They met in the United States in 2016. Laila Nobihousen, 20, tending to her 5-day-old baby. In 1982, Myanmar’s military junta revoked the citizenship of most Rohingya, rendering them stateless. So Laila’s child, born an American, is the first person in her family to have any citizenship. 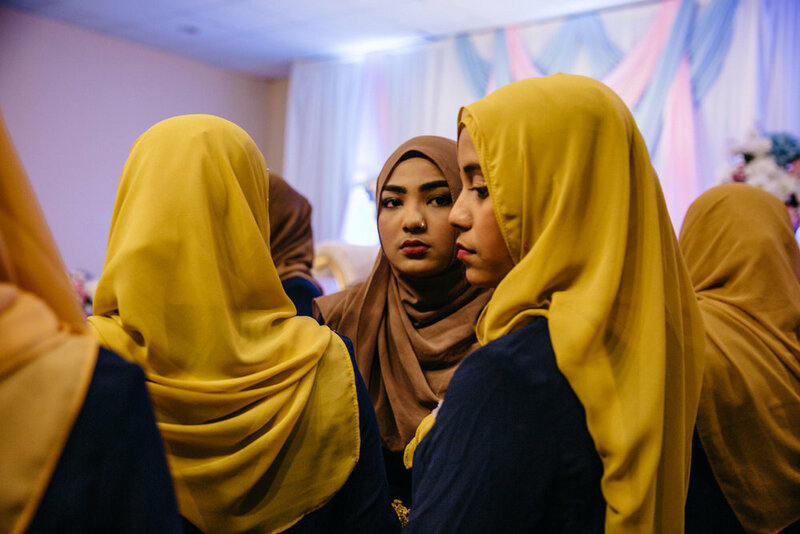 Hafizah, 18, at her sister in law's wedding. She is among the many Rohingya born in Malaysia to parents who had escaped the conflict in Myanmar. Abdul Aziz, 39, at home in Rogers Park, with his daughter, Arina, 4. 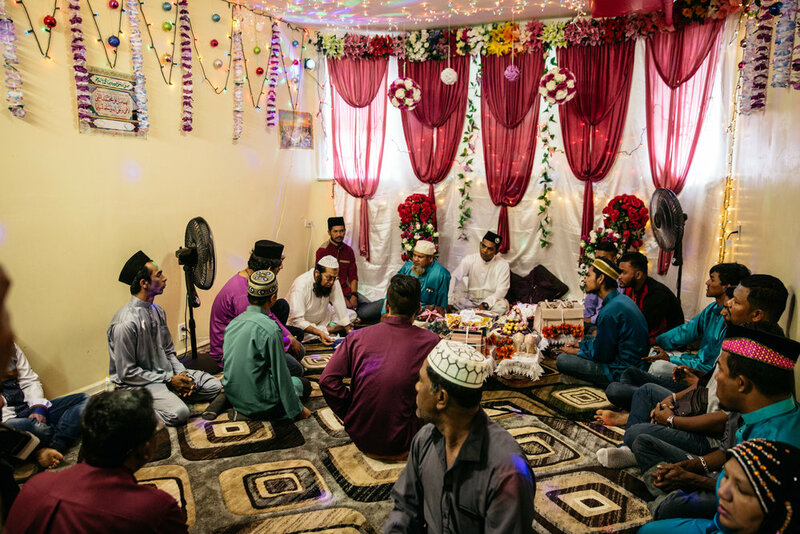 As a teenager, he left his family in Myanmar’s Rakhine State, where the Rohingya are concentrated, to find safety in Malaysia. 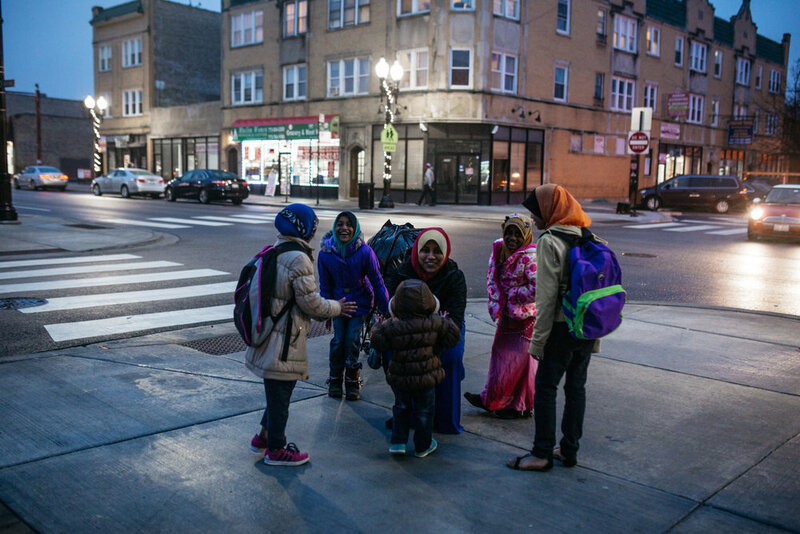 A family near the Rohingya Culture Center in Chicago.